Make Money with Kindle 2 has more tips to help you develop a new passive income stream that can go on for years. Are you looking for a way to make money with Kindle? Great idea! More tips in Part 2 will help you move forward with your project. Aside from writing great content and choosing a profitable niche, there are a few other ways to maximize your chance of making money selling Kindle content. Give a hint about the plot. Use words that evoke images and speak to your audience. Talk briefly about your main characters. Give an idea of the plot setting. List a question or hint at the mystery to be solved or answered that draws the reader in. Over-emphasize, magnify, or exaggerate the plot. Give quotes about the book from reviews. The length should be around 150 words, excluding author bio. Include an about the author blurb. Make the first sentence a standout headline that sums up the book tantalizingly and quickly and compels them to read the rest of the description. Make it personal. Explain clearly, why someone interested in the topic must read your book. peak to the readers emotions by describing how the book will make the reader feel after reading it or putting the tips to use. Give detailed benefits of what the reader will get from the book and a snippet of how your book will make them achieve a goal. If you are having trouble writing a good book description, write it as if you were reviewing someone else’s book. Send out review copies to your current email subscribers and social media contacts. Ask friends and colleagues, who’ve already read your book, to give you an objective review. Give away free copies in exchange for a review. Offer this option through different means such as email, trade associations, and seminars. Ask your current buyers to leave a review. Offer an incentive such as a free report to anyone who posts a review. Be sure to set a specific time frame for them to do this. Often all you have to do is ask. The author bio area on Amazon is the perfect spot to sell “the author”. You can tell people about your website, other books you’ve written, and any other actions you want them to take. Your bio is normally written in the third person. Media professionals and people who ask you to be a guest speaker often use your author bio when promoting you. The description of your book, reviews, and the author bio page are perfect spots for selling yourself and your book. The title and cover are the first things people will notice about your book. You want to create buy-worthy titles and covers that grab your readers’ attention. Evoke curiosity so that people will want to click just to find out what the book about. Stir motion. Your title should evoke some form of emotion – excitement, fear, hope. etc. Catch the reader’s eye and be aesthetically pleasing. Voice easily. Whether the title is said aloud or in the mind, the title should contain words that are easy to pronounce and remember. Set expectation. Your book should actually deliver what the title says. Be clearly recognized as a thumbnail. Make the reader feel something instead of telling them something. Avoid cliché images like piggybanks, dollar signs, or skinny models. Creating a buy worthy title and cover for your book is important. It’s the first elements a reader notices. Whether you design the cover and title or have someone do it for you, it should be relevant to your book. You can do everything up to this point to learn how to make money selling Kindle books only to find out you can’t make any sells. This is where promotion and marketing come in. A typical Kindle book includes a very small royalty. This means you’ll need to sell a lot of books or find other ways to monetize your book. Get readers into your email subscription list. People who buy your books are customers. Get them to sign up for your list by offering a bonus gift such as a related report at the front and end of your book. 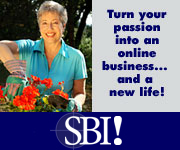 Offer additional content with an income-generating offer. You can add this link to your author bio page. Promote your book on social media such as Facebook, Twitter, and LinkedIn. Be social. Social sharing is one of the fastest ways to get traffic to your sales page. Post regularly on social media to get exposure to your bio page and to your book. Customers build trust and relationships with you through your social media page. Use your existing assets. This means posting articles on your blog, sending emails to your existing customers, and talking about your book in your newsletter. Include links to your book in forum signatures, email signatures, and your social media profiles. Provide guest blog posts for relevant blogs. Submit a press release to PR sites about your Kindle book. Talk about why you wrote the book and whom it benefits. Do some paid advertising such as Pay per Click, classified ads, sponsored ads in other people’s newsletters, on websites, and on Facebook. Create a bundle if you have more than one related book. Offer discounts and special promotions to repeat customers. Give away a free version of your book for a few days to build interest. Create an eye-catching sales page for your book and sell it on your professional author website. After Make Money with Kindle 2: Now What? What is the the next step? When you know how to make money selling Kindle e-books and content, you can profit from passive income. Sometimes to the tune of hundreds or thousands of dollars a month. Remember the process of making money with Kindle is about writing a book in a profitable niche and packaging it well. Then you create a marketing buzz about your book so that readers are clamoring to buy it. Each step is simple to do but each is valuable and will help you on the road to making money with Kindle and providing yourself - and your future - with recurring passive income. What's even better is that when you've mastered these easy tips, you can take the next step and do it again. Now that you're read all these tips from Make Money with Kindle 2, you're off to a great start. Hopefully you're thinking "This is something I can do!". Better yet, I hope you're thinking "This is something I will do!"